Safe and attention-getting indication of aisles, machinery, doors or stairs. 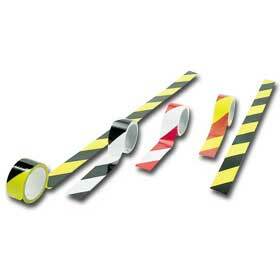 Prevent accidents and injury with this bright colored tape. Durable vinyl material stands up to heavy vehicle and foot traffic. Meets O.S.H.A. color standards. FOB Shipping Point.